Many children with diabetes face discrimination in the school environment, it affects their self-esteem, productivity and management of their disease. Children who are not able to manage their condition safely and securely at school may be at greater risk of complications from diabetes. 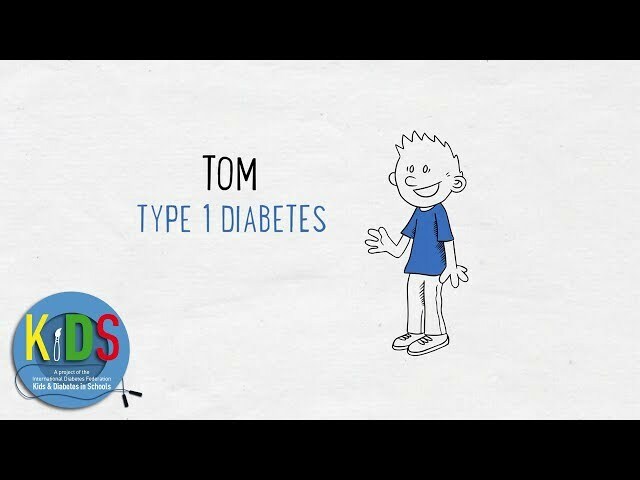 The Kids and Diabetes in School Project (KiDS) aims to foster a safe and supportive environment that creates a better understanding of diabetes and supports children with the condition. It also provides information about type 2 diabetes and how it can be prevented by making effective lifestyle choices. The pack is divided in two sections: the first section is focused on type 1 diabetes and the needs of children in school, offering both guidelines for the management of children with diabetes and a sample diabetes management plan; the second section is focused on guidelines for a healthy lifestyle to prevent type 2 diabetes. The KiDS information pack is available for download in 15 languages. For children living with diabetes, choosing the right food plays an important role in maintaining healthy blood glucose levels and promoting normal growth. The KiDS and Diabetes in Schools educational guide has been developed as a complimentary resource to the Kids and Diabetes Information Pack. The guide is an awareness and information tool developed to inform teachers, parents of children with diabetes as well as all parents and children of the important role of nutrition and a healthy and balanced lifestyle in the management and prevention of diabetes.